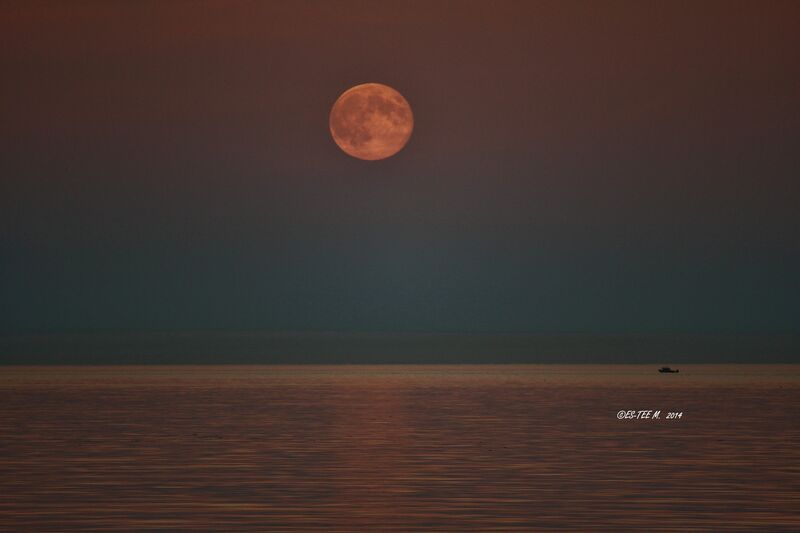 I would of loved to sit down by the water all night keeping the moon company. She crept up over the water’s edge through the mist and I heard several ohh’s and ahh’s along the beach as she showed herself. A Super Moon is when the moon is full at the same time it’s closest to the earth. It looks bigger than usual and is great to photograph. Either way all the action is up in the sky tonight. 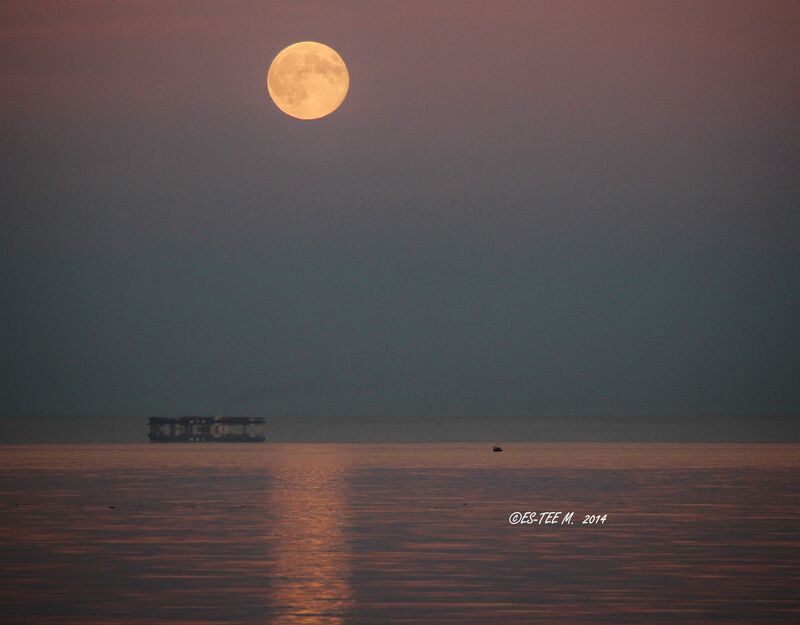 This entry was posted in love and poetry and tagged celestial, nature is beautiful, PEACE, photography, super moon. Bookmark the permalink. 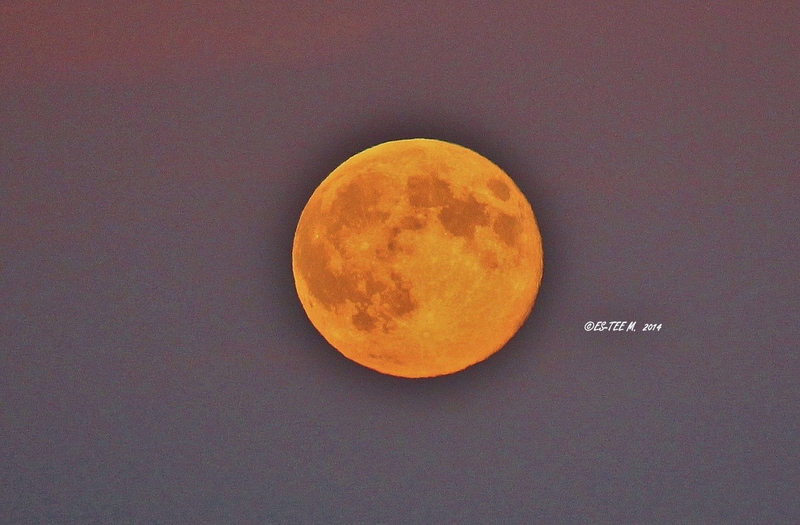 My name is Paulette and I love your writing style and your photos of the supermoon are phenomenal! I write several blogs on WordPress and reblogged this post on TotallyInspiredPC.wordpress.com. i look forward to reading more of what you write as your words are a joy to read and your photos a spectacle to behold. Thank you Paulette for your kind words. Outstanding photographs Estee, they have an almost ethereal quality about them. I was thinking of you last night when I looked up at the moon. Knew you would be out moon hunting! Love your work, inspirational.